The day is done and the lights shine through the windows. This is a fun and fast way to make these blocks. 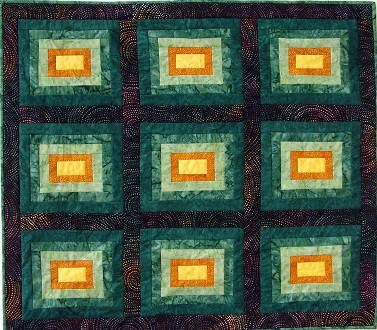 Make the sample as shown or make 3 blocks for a table runner. You can also add on to the sides and bottom to make our piece bigger. Finished size is 35" x 39 1/2".